There are so many ways to quit smoking, and in their quest to stop, many smokers try everything from quitting cold turkey to one-on-one counseling to nicotine patches and gums -- or combinations of all of the above. If these stop smoking methods haven't worked for you, or you just want to take a more holistic approach, you may want to try hypnotherapy. The last decade or two has witnessed an alternate form of therapy gaining a lot of popularity in the medical fraternity. This alternate therapy is hypnotherapy, which has gained a lot of popularity in the West and is also catching up in India. One of the very important areas in the medical space where the role of hypnotherapy is growing is surgery. A California woman who describes herself as Barbie-obsessed says she uses hypnotherapy sessions in the hopes that it will decrease her IQ. Hypnotherapy is a clinical form of hypnosis that's used to help people break free from addiction and stress. Hypnosis is often written off as a joke but for people who suffer from addiction or severe anxiety, it can be life changing. Jon Creffield is now part of the Help a Hero programme which is run by the National Council for Hypnotherapy (NCH) to help homecoming members of the armed forces to cope with their return to civilian life. The Canadian College of Advanced Hypnosis and Hypnotherapy has just opened its doors in the Comox Valley and is now recruiting future hypnotherapists. Granted, it's only been about 18 hours, but I think the hypnosis is working. A new ITV programme that appears to show members of the public being hypnotised has been branded a fraud by experts. If you use hypnosis, hypnotherapy or NLP in your practice, there are people and organizations out there who want to permanently shut you down! Even if you're a coach or consultant and not a hypnotherapist, if you ask someone to visualize a certain state of accomplishment – especially if they become glassy-eyed or shed a tear or two – someone may complain that you are practicing hypnosis and find a law somewhere that will justify incessant criminal or civil prosecution. Imagine helping someone improve their golf swing and then finding out that you have tens of thousands of dollars in legal fees and may lose your right to practice. And, if you already have a mental health or medical license, don't think you are immune from persecution. Many authorities in those fields routinely use their ignorance of hypnosis to ban its use and would like to see any of their colleagues who cross the line permanently banned from practicing. Licensees who so ardently study the ways of the late Milton Erickson, MD, need not to be reminded that the good doctor's license was once threatened because he dared to use any form of hypnosis in psychiatry. 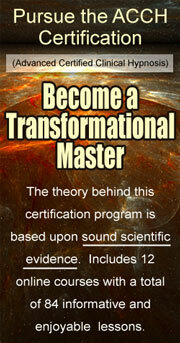 How To Create and Distribute Your Own Hypnotherapy CD/MP3 Without Breaking The Bank! In just a couple of days you can be selling a hypnosis product online and making money even while you sleep! If you are a talented hypnotist or hypnotherapist, you've got your content. The only thing remaining is knowing how to properly record a quality MP3 file or CD. In this article I'm going to show you how to create your own hypnosis or guided meditation product. I'll take you from recording your script through a way to convert it into an income stream. The Advanced Neuro-Noetic HypnosisTM certification represents that the holder has achieved competency in a wide range integrative healing and human development skills. We are making it easy and affordable to enroll in this self-paced, distance learning program. Additionally, if you enroll in the program by midnight June 28, we will waive the first $300 of your tuition. The International Hypnosis Research Institute was started in 2006 for the purpose of supporting the scientific and cultural credibility of hypnotherapy and other integrative arts, such as chiropractic, massage therapy, NLP, naturopathy, homeopathy, and energy psychology and energy medicine just to name a few. The ANNH certification program, which leads to the awarding of the Advanced Certified Clinical Hypnotherapist (ACCH) designation, is designed to support this mission. Our intent is for the participant a credible, evidence and science-based set of skills that can immediately be used by conventional medical and psychotherapeutic professionals, as well as coaches and integrative healing practitioners. There is no requirement that students have a background in hypnosis or hypnotherapy to complete this program. This program consists of 12 six-lesson courses, which contain a total of over 72 specific skills. Each lesson consists of a video averaging 20 minutes, a brief demonstration, and an assignment, which involves the skill discussed in the demonstration. Additionally, students post the results of their assignment to the student forum for the individual lessons. Their comments responded to by other students and the course moderator. You may start this program at any time and take up to six months to complete a course. To take advantage of this offer, visit www.advanced-neuro-noetic-hypnosis.org no later than midnight June 28, 2011. Thank you for your continued support. Your participation is critical to our efforts to promote your profession by raising practitioner competency and increasing awareness amoung the public and other health care practitioners. 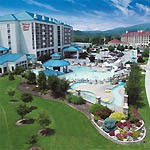 WHO SHOULD ATTEND: The 5th Annual Smoky Mountain Nurses Conference is a continuing education experience suitable for nurse anesthetists, operating room nurses, post-anesthesia nurses, nursing instructors, nursing managers, critical care nurses, O.R. technicians, physicians, psychologists, dentists, or any other interested health care worker. Healthy Visions is an approved provider of continuing nursing education by the Alabama State Nurses Association. It's free, it's online, and it's streaming right to your computer...It's the 2010 Tapping World Summit! Announcing an amazing online event that last year had over 81,000 people in attendance. And what is also amazing is that it is offered to the public at no charge. The event is called the Tapping World Summit. If you've never heard of Tapping before, you're going to be blown away at how powerful it is. The International Academy of Consciousness is a non-profit research and education organization dedicated to the scientific study of the consciousness beyond the conventional limitations of materialist science. The IAC had its roots in the International Institute of Projectiology, which was founded in 1988 in Brazil. Since 2002, IIPC offices outside of Brazil became IAC – today a truly global organization with broad objectives in education as well as research, having a permanent presence in four continents and having presented in 20 countries around the world. Gary Craig has recenly announced his retirement and the discontinuance of his EFT certification program. He will also be shutting down www.emofree.com. His retirement will be effective on January 15, 2010, reportedly due to health issues. January 4th, 2009 will mark the 5th annual World Hypnotism Day when hypnotists around the world support hypnotism. WHD's mission is the promote the truth and benefits about hypnosis to the people of the world while removing the myths and misconceptions that have clouded this honorable and timeless practice. Hypnotists benefit not only by supporting the profession of hypnotism but by gaining recognition ansd exposure during World Hypnotism Day events in order to build and increase their businesses. And to make it easy the World Hypnotism Day Committess have provided valuable and free Member Resources which are available. "This is the biggest hypnosis event on the planet," says WHD Chairman, Tom Nicoli. "Hypnotists in twenty two countries have participated in World Hypnotism Day and it continues to grow. Last year 26 USA Mayors, 1 Canadian Mayor and a US State Governor proclaimed Jnauray 4th World Hypnotism Day. We invite all professional hypnotists to join." And the public also benefits. At the WHD website, www.worldhypnotismday.com there are 4 hypnosis audio downloads, 2 Success Stories ebooks and information and research facts about hypnosis all for free. There is also a WHD Events search engine so you can see if there is a WHD event in your area. Tell everyone about World Hypnotism Day and get involved. You wilol be quite surprised to see the types of Member Resources that are available from teleseminars to Power Point presentations to press releases all for you to download and use. We just received this from Dan Cleary (via Anne Spencer, Ph.D.). Henry Leo Bolduc, a well respected hypnotherapist recently had a accident while cutting wood on his farm in Virginia. Please join us with the rest of the hypnotherapy and mind/body community showing support for Henry and his wife Joan. Below is the text of the e-mail received from Dan and Anne. Henry and his wife Joanie, live in the Blue Ridge Mountains of Virginia, near a crossroads called Wytheville. They live out in the backside of nowhere and that is where Henry was on March 5th, when there was a terrible accident. Henry was home alone and out on the property cutting fire wood with a chain saw. There was a slip, a misstep and the saw came down on Henry's left arm, just above the wrist, nearly severing his hand from his arm. The chain cut through skin, muscles, bone and tissue. Even though the art and science of hypnosis has been in existence for hundreds of years, there has been a controversy lurking regarding hypnosis education. The various hypnosis organizations have always set their own educational requirements for membership. There have been as many different educational requirements for hypnosis and hypnotherapy training as there have been professional hypnosis and hypnotherapy organizations. Finally, however, hypnosis and hypnotherapy is entering a new era, an era of quality education in the use of this ancient tool to help bring about desirable behavioral changes. What Michael Ellner and Dan Cleary are doing with Pain Week 2007 is an amazing landmark for us all!!! These two men have done a lot for hypnotherapy and all complementary modalities over the years but this blows the lid off! 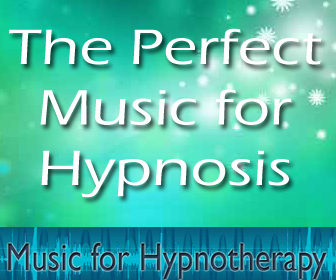 What a great opportunity they have created for each of us personally as well as for hypnotherapy as a whole. Dan and Michael have handed us the opportunity and it's up to us all to accept it and run with it! We have the amazing opportunity to learn and network at Pain Week 2007! Imagine yourself at this conference meeting and networking with Docs who practice just down the street from you in your city!! WOW! You find out they are the best and they meet you and learn that YOU are the best (and how you can help their patients) and they will refer to you! I know, there are a lot of conferences and we're busy people and we all have budgets, HOWEVER, you really can't afford to let this opportunity pass you by. This is an investment in your future and the future of hypnotherapy! IMDHA is offering CEU's for Dan and Michael's class. Their full day class is September the 5th and they will also take part in programs on Saturday and Sunday, the 8th and 9th. Robert and Linda Otto will be there promoting IMDHA and YOU too! These medical professionals need to see us there in support of what we do and what Michael and Dan are teaching. (Besides, I don't care how many times you have heard these 2 guys speak, you will come away with more great stuff every time!) Our feet are in the door and we need to support this so Hypnotherapy and Complementary Health Care can move forward. This is just too important an event to ignore! I plan to see YOU there!!! YOU just plan on it too!!! One of the links for details is http://danclearhypnosis.com/courses/painweek2007.html Just do it! I recently attended the Ninth Annual International Energy Psychology Conference, which was held April 18 through 25, 2007, at the Westfield's Marriott in Chantilly, Virginia. This was the annual conference for The Association for Comprehensive Energy Psychology, a leading-edge organization of psychologists and other professions. It was good to see old friends and colleagues as well as meet many new ones. I've been interested in the fields of energy psychology and medicine since I met Fred Gallo Ph.D., David Feinstien Ph.D., and Donna Eden at The National Institute for the Clinical Application of Behavioral Medicine (NICABM) conference four years ago. As most readers are already aware, the leadership of IACT has transferred to Robert and Linda Otto. As the new directors, Robert and Linda feel that, the members and their vision for the future, is paramount. "We are looking to completely involve our members in creating the future of the organization and have decided to honor our Lifetime Members in a special way at the awards banquet this year" says Linda Otto, the new Executive Director. What might just be the best kept secret in the profession of hypnotism, at this time, is also what has proven to be an incredible vehicle for hypnotism professionals to increase recognition for their business, products or any services provided. The following remarks were made on October 28, 2006, at the Annual IMDHA Conference held in Troy, Michigan. It is with great pleasure that I welcome you to our International Medical and Dental Hypnotherapy Association Platinum Anniversary conference Hypnosis and Holistic Living – this year titled appropriately Achieving Quantum Awareness ~ The Journey Continues. It is a pleasure to announce our impending acquisition of the International Medical and Dental Hypnotherapy Association. This is truly an exciting announcement. And the next few months promise to be full of challenges and growth.